Looking for an Adventist clinic and doctor in Toronto? Pathways to Wholeness Lifestyle Medicine and Naturopathic Medicine Clinics provide professional medical care and health programs based on evidence-based lifestyle medicine and a Christ-centred Adventist philosophy of health and healing. 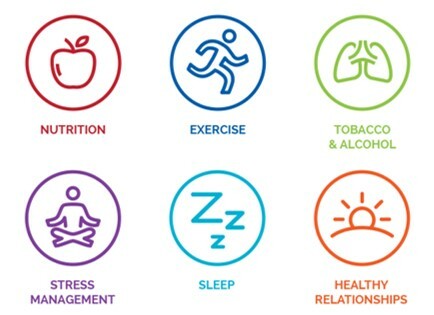 Using a wholistic, lifestyle-based therapeutic approach, we help our patients and clients adopt healthy lifestyles to prevent and treat a wide range of acute and chronic conditions. If you are looking for a Seventh-day Adventist doctor and clinic for your family, friends or colleagues, we are here to help and serve you. Pathways is deeply committed to offering quality and compassionate health care that is in harmony with the health principles promoted by the Seventh-day Adventist Church. The clinics can address a wide range of acute and chronic health conditions. Dr. George Cho serves as the Medical Director of Pathways to Wholeness Lifestyle Medicine in Toronto, Canada. He is a licensed naturopathic doctor who focuses on promoting health using evidence-based lifestyle medicine. Dr. Cho combines compassionate whole-person care with the latest advances in lifestyle medicine to help patients experience wholistc health. LEARN MORE ABOUT OUR LOCATIONS! Lifestyle medicine clinic providing range of clinical services, support groups, and health programs for the community. Unique clinic providing naturopathic and lifestyle medicine in collaboration with Junction Family Dental Care. We're seeing patients. Book your Appointment Today! Don't miss anything on Pathways to Wholeness services, programs and events.